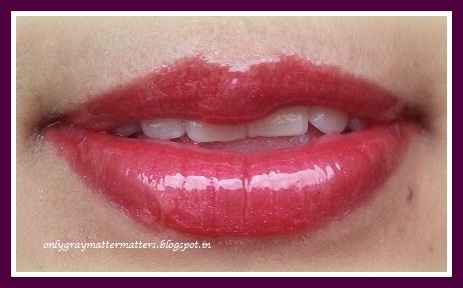 This is a review of The Body Shop Hi-Shine Lip Treatment in shade Cherry Glimmer shade 15. The Body Shop Claims - A range of ultra-shiny, sheer tinted, wet-look lip glosses that offer intense moisturization and conditioning to the lips. Each is subtly scented with a passion fruit fragrance. Dermatologically tested. Product Description: The Body Shop Hi-Shine Lip Treatment comes in a choice of 9 colors. 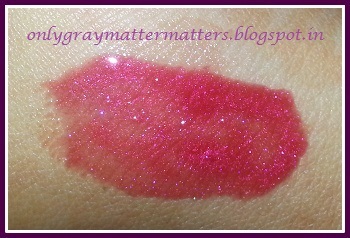 I bought Cherry glimmer shade 2 weeks ago from The Body shop. 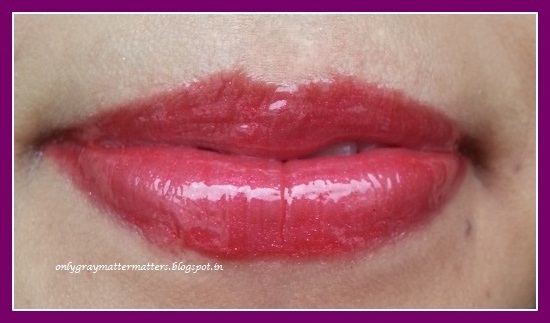 It is a transparent cherry red shade with multicolored micro-shimmer in it. The color is really pretty and sheer. It has pretty good staying power. I love the feel of this gloss, and it moisturizes very well. It's smooth, delicate and caring. Very creamy, tasty and smells great like a fruit sweet scent. Consistency is good as it spreads evenly. 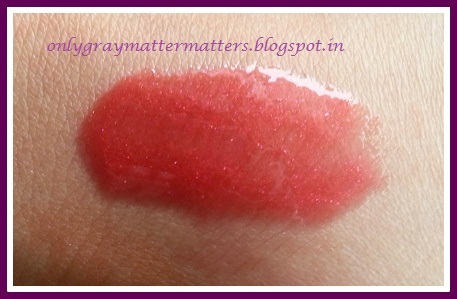 It is very easy to use as it glides over the lips pretty easily with this slanted tip applicator. It gives glossy finish. Packaging: It is a clear squeezing tube which identifies the color. It has a clear twist-off cap, which is rounded off. Has a slanted plastic applicator tip. The Plastic of the tube seems to be a little too stiff. Texture: A bit sticky for me and too thick as well, yet creamy in texture. 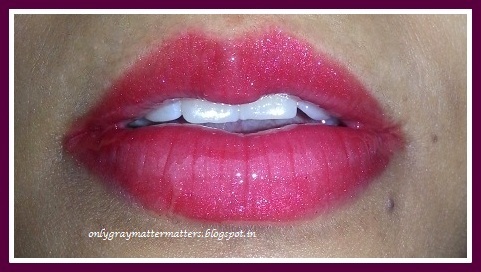 I love the fact that it leaves my lips very soft - this gloss does exactly what it says - nice and moisturizing. I like the finish, not too glossy but effective. It helps lips to stay comfortable even when it's cold and lips get dry. Staying power: Stays maximum 3 hours. After about 3 hours the color on my lips is no longer there but my lips still look glossy, nice and shiny. Pigmentation: Very good pigmentation. A single swipe builds up good color. The pigmentation levels are really good in the darker / brighter shades but weaker in the lighter shades. They are quite moisturizing and will keep your lips soft, supple and protected. This is a real lip treatment. Cost: £9.50 for 14ml (Around INR 575 in India). Discounts available during Body Shop Discount Sale. Generally feels nice on the lips in terms of its consistency. Very sticky; if you have long hair, they do stick to the lips. If you are a fan of glossy or shine lip products and moderate stickiness is not a problem, give these glosses a try. The color selection seems to be nice, and you are likely to find one that suits your skin tone nicely. Very highly pigmented and smells like fruit. 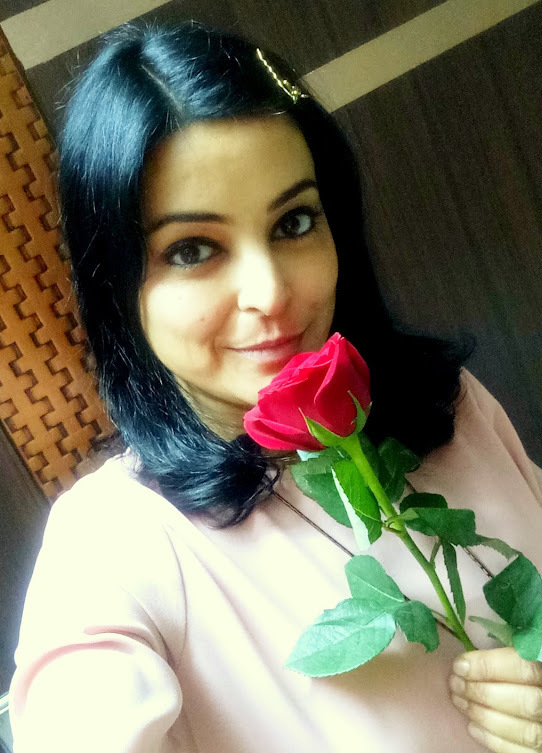 About the Author of the Post: Tejinder Kaur stays in the UK and has a great taste in fashion, make up and accessories. She loves shopping, traveling, dancing and partying, and always wants novelty in her life. 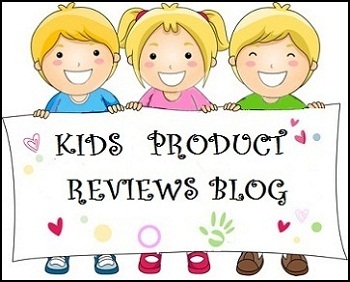 Juggling between her family, home, her adorable kido and her Accounting Studies, she cannot run a full-time blog, but loves writing reviews whenever she gets time. You can find her on Facebook here. I loved it so much on you. wow!!!! love shade tej! very luscious & juicy looking! lovelt tej ! look really nice on you but i dont like the sticky thing....still looks awesome and juicy on your lips.mmmmmmmmmmmmuuuuuuuuuuuaaahhhhhh ! :) I have something similar in L'Oreal which I was going to post about when this post came. That's too very sticky, so I understand how u feel about this one. The swatch in cool lighting is just so awesome. Sure, will post soon Tej. But I was actually talking about your swatches :) The swatches on your hand, the pink one in cool light is looking verrrrry pretty. Good review, thanks for sharing. It exactly suits for you. This a really nice review. I really like the Gloss!